Time for another viewing of Emil, my friend Andy and Fiona's baby boy! I previously made a beanie for him, which he looked adorable in. Last winter, I made a puppy lovey for Emil. Mom sent me back a photo of Emil holding his new lovey during a car ride, and my heart just melted! 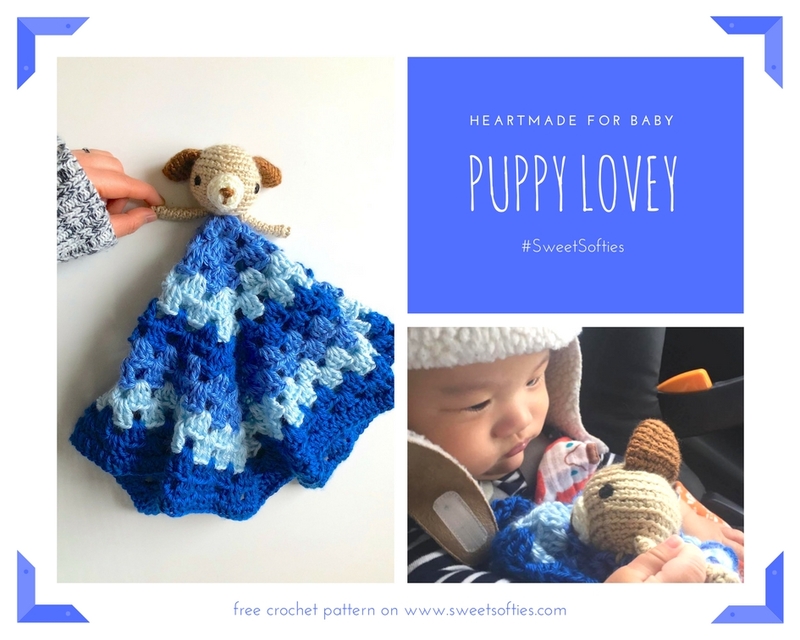 If you're interested in crocheting this lovey as well, please check out this blog post with the free pattern! Anyhow, I'd love to hear about your favorite gifts to make for babies, or a story about a recent make for a little one!